We want our guests to leave the hotel with some great food memories! So, we have a great range of dining options for you to enjoy. We serve a big breakfast buffet with plenty of organic and healthy produce. Breakfast should be your main meal of the day and we make sure to offer a wide range of delicious options for you! Our lunch menu is available Monday to Friday. There's something for everyone and we make sure to use lots of locally produced ingredients. Lunch is particularly important for our conference guests as we want to help you feel brimming with energy for your afternoon meetings! An informal meal with friends or a romantic dinner? 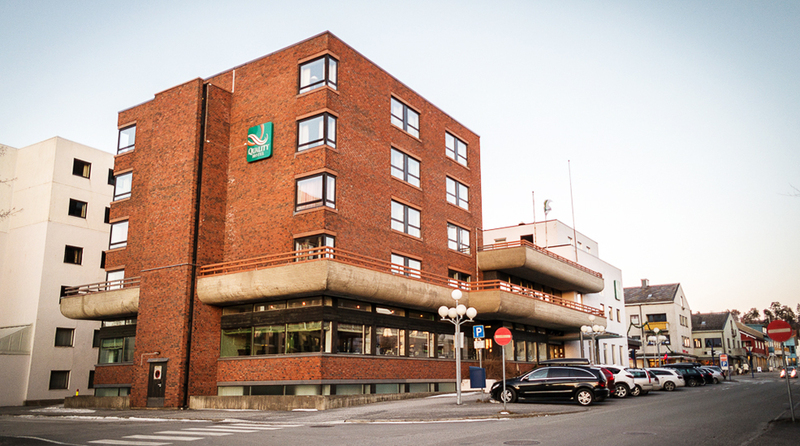 You'll find whatever you need here at the Quality Hotel Grand Steinkjer. We make sure to vary our menu regularly, as this enables us to make the best of seasonal produce. Come here to celebrate the end of a great conference, enjoy a family dinner or simply to have a delicious meal! Our lobby bar is the hotel's inofficial meeting place. Here you can relax with a cup of coffee, glass of wine or a tasty drink. Why not try out our locally-brewed beer? Our team of chefs are well-trained in the art of preparing food to impress. We can help organise food and beverages for all types of functions including birthdays, christenings, weddings, memorials and confirmations. We promise top quality at every stages so that organisers can sit back and enjoy the event just as much as the guests. Catering from Grand ensures smiles all round! Can't find the right menu for your special event? Would you like to organise a champagne breakfast, game buffet or Creole evening? Contact us and we'll tailor a menu to suit your needs! on +47 74 16 47 00 or at q.steinkjer@choice.no.